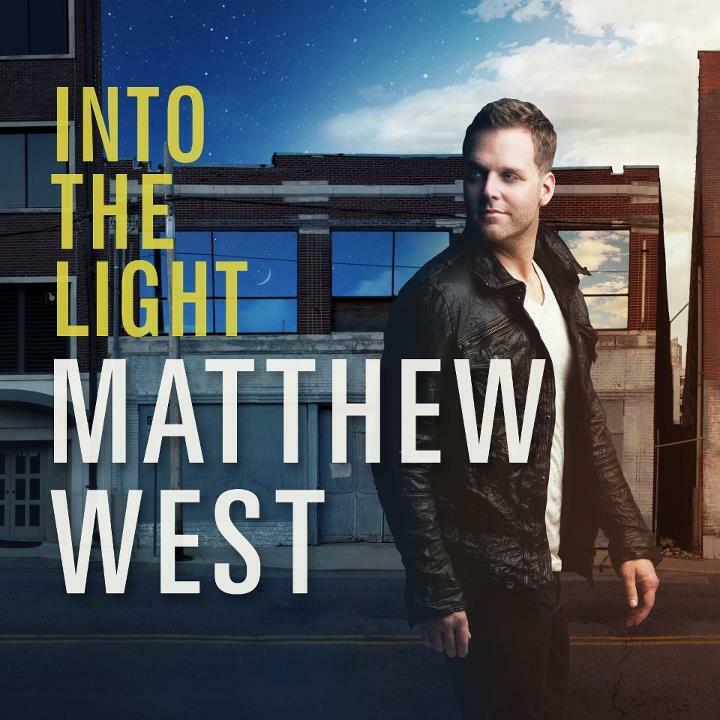 Matthew West has just released his sixth studio album 'Into The Light'. As with his critically acclaimed 2010 album, 'The Story of Your Life', all the songs on this new 12 track album are inspired by letters submitted by fans. When you know that the songs on this album are actually real life stories you look at them in a different light. These aren't just nice words put together to a nice melody by Matthew West. These words are someone's real pains, hurts, praises and everything else that comes along with life. Read More Matthew West has just released his sixth studio album 'Into The Light'. As with his critically acclaimed 2010 album, 'The Story of Your Life', all the songs on this new 12 track album are inspired by letters submitted by fans. This is a brave yet powerful thing for Matthew to do, and from listening to the album he has turned these stories into some great, commanding songs. The album starts with title track Into The Light, with a very steady drum beat and an atmospheric keyboard playing some beautiful and heart warming loops. These soon turn into a guitar riff playing some similar notes. The song is about finding God in the darkest of places, "I was stranded in the shadows, I was pushed down into the darkness", but thankfully there is a rousing chorus of "Come on, Come on, out of the darkness, Step Into The Light". Powerful stuff. The title of the second track, Hello My Name Is... sounds like it could have been an Eminem Song. Thankfully there is no rapping from Matthew West, instead this is a great mid tempo rock pop number with a small 80's influence under the song. Orchestral violins open the track Forgiveness. A Steady marching drum beat is also added in this first slow ballad of the album. Actually the word ballad isn't quite right, as this is your classic rousing pop/rock ballad which builds with guitars and drums during the chorus. What I liked most about this song is the orchestral undertone weaving around during the length of the track. Do Something is a catchy little number, it has a Gospel feel to it without being a Gospel number. Maybe it's just a bit more happy-pop sounding than the other tracks. What I find interesting is the theme of the song, which is far from happy. The song is about how much pain this world is in and that now is the perfect time for us to Do Something about it. Now, for me the track Moved By Mercy is the standout track of the album and there is no debate about this for me. Again starting with some synth orchestral sound, the overall sound of the track sounds like a Newsboys number. It has it all, funky bass, great toned guitars playing some clever sounding riffs. Appearing on the song is the beautiful voice of Caitilin Evans which appears next to Matthew's vocals, this adds to the power of the song. The story is about the pain of a young lady, and the whole song is touching yet painful with a chorus that will bring you close to tears. "Take me far away now, From this broken place now, Somewhere they can't hurt me, I wanna be moved by mercy, Jesus, I can't see You, I just know I need You, Help me start a new life, Let my heart be moved by mercy". The tracks Unchangeable and Wonderfully Made have a similar theme, with both the tracks being about God saying He has a plan for you and your future. With the lyrics of Unchangeable being hard hitting, sung again and again with real gusto "You're Not A Mistake". A message we must always remember, God has a plan and a future for every single one of us. Matthew has done a really good job of putting these stories to music. I hope the storytellers are proud of how their personal stories have come across on this album. It can't have been an easy task, to create good songs from personal stories. Even if you have not heard this singer/songwriter before, it is well worth checking out this album that doesn't default to the obvious or cliched lyrics.